Very shortly, I'll have an article in the ISJ, which will outline an anatomy of the present day Tories, covering the period from the Heath administration to the present. I don't intend to give a sneak preview of the arguments here - like I say, it will be out very soon. However, as a prequel, I thought I'd share this article on the origins of the modern Conservative Party, and particularly it's transition from a faction representing squires and landowners to the dominant party of capitalism. Neither especially theoretical, nor a comprehensive history, this should be taken as a thumbnail sketch of some of the major trends in Tory history until 1945, or perhaps the outline of a more sustained and detailed argument to be punted in paperback. Corrections and lengthy elaborations appreciated. Throughout the 19th Century, the Tories made a slow but ultimately successful bid to be the major party of capitalism. For most of this period, the landowners formed the dominant faction ruling the Tory party. The capitalist transformation of the English countryside since the fifteenth century had concentrated land ownership increasingly among a small number of magnates and gentry. The landed interest was where the greatest concentrations of wealth were to be found even long after the Industrial Revolution. Even so, by the end of the century, the Tories had become known by some as the ‘Brewers’ party’, a party incorporating major manufacturers as well as landowners and financiers in its leadership. It had also successfully built a sufficient popular base to compete in elections in which the working class was numerically dominant for the first time. This transformation from narrow landowning faction to mass party of capitalism was forced on the Tories by developments outwith their control. In this section, I will look at the decisive developments which transformed the Tories from an aristocratic rump representing a doomed landed interest into a Conservative Party representing a much wider alliance of capitalist fractions. Almost as soon as the Tory party had emerged under the leadership of William Pitt the Younger, a reactionary faction opposed to the radical energies unleashed by the American revolution, the old monarchical order was under threat again, this time in France. And it was in response to the French Revolution that the distinctive ideological purpose of modern conservatism was first moulded in the thought of Joseph de Maistre and Edmund Burke. 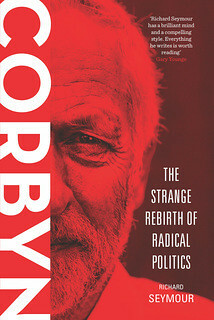 Writing on the Tory ‘tradition’ emphasises Burke’s concern with the gradual, organic development of society, conceived as a corporate whole rather than a mass of atomic individuals; his preference for tradition as opposed to novelty (on the grounds that through sheer longevity, traditional practises have proven their worth); his empiricism and fierce hostility to abstraction and rationalist precepts; and his culturalist conception of social forms. As Eric Hobsbawm put it, Burkean conservatism comprised “a frankly irrationalist belief in the virtues of tradition, continuity and slow organic growth, which have ever since provided the theoretical mainstay of conservatism”. Yet much of this is not distinctly conservative, and such attitudes characterised Burke at least as much in his period as a Whig as in his role as a counter-revolutionary. Burkean conservatism was far more distinguished by its fierce defence of hierarchy and the right of the ruling class to rule, as opposed to the claims of the ‘mob’. It was profoundly anti-traditionalist in its hostility to such institutions as poor relief, and its organicism was in seeming conflict with the competitive individualism at the heart of political economy which he espoused. In the main sense that Burke was a traditionalist, the tradition he defended was agrarian capitalism. This was no stagnant social order he defended. As both a Whig and a conservative, he was an acolyte of Adam Smith, whose political economy he used to defend the inequalities and hierarchies of the rural capitalist order whose dynamism, he maintained, derived from the coercive pressure of market forces. He believed this order to be rational, the relationship between employer and labourer to be as mutually beneficial as that between man and beast, or as productive as that between man and his tools. The landed capitalist was thus the executive, the reasoning component of the social body, the worker its limbs. For as long as revolution was not a threat, the political order inaugurated by the ‘Glorious Revolution’ of 1688 was adequate to defend this divinely ordained hierarchy. The prerogatives of the aristocracy could be pragmatically challenged (on perfectly capitalist grounds), and parliament could exercise power judiciously with some sympathy for the poor. But, as soon as revolution as a practical possibility, any concession to the mob was a potential gateway to barbarism. Burke perceived the bourgeois upstarts in France as a dangerous faction set against the body of the nation, which was composed of the landed interests. They were a cabal, a conspiracy of “Jew brokers”, men of letters, and irresponsible ideologues. As destabilising elements in capitalism, he contrasted their intellectual and financial speculations with the doings of the great civil and military leaders. Aspiring to be “master” rather than “instructor”, this cabal of fanatics had unleashed the “swinish multitude” to overthrow the corporate order. If the reasoning component of the social body was thus deposed, then the body itself was ruined, reduced to pre-civilised barbarism. Conservatism was thus explicitly conceived as a defence of capitalism, in reaction to the threat of Jacobinism both domestically and overseas. These counter-revolutionary origins continued to shape the Tories for decades, so that by 1827 the Duke of Wellington was defining the Tories as a party of “the Bishops and clergy, the great Aristocracy, the landed Interest, the Magistracy of the Country, the great Merchants and Bankers, in short the parti conservateur of the Country”. However, the term ‘conservative’, deriving from the French ‘conservateur’, was first used in its modern political sense in 1830, and the term ‘conservative party’ was not in widespread use until 1832. It was to be the breakdown of Toryism in 1827-32, their severe constitutional defeats, and their subsequent overtures to urban capitalists that first produced the Conservative Party in its modern form. The pressure for electoral reform had begun during the revolutionary epoch after 1790. Whigs tried to moderate this impulse, proposing quietist reforms to tackle widespread political corruption and restore popular faith in government. But the majority of the British ruling class was consumed with seeing off the threat of Jacobinism, of which the Reform movement was a tributary in their view. The early reforming efforts of Lord Grey, and Whig MPs such as John Curwen, foundered. Tory opposition to the reform came not only from out and out reactionaries, but from perceived pragmatists such as the Anglo-Irish Tory George Canning, who invoked the “rash and awful example” of the convocation in France of the Estates-General, which had preceded revolution. It was only following a period of relative political calm following the defeat and Napoleon in 1815, and the murder of striking workers in Peterloo in 1819, that the Reform impulse was once more given expression in parliament. Yet it was to require another wave of popular agitation before parliamentarians were sufficiently goaded to take action. Toward the end of the 1820s, the Tories increasingly found themselves divided between ‘High Tory’ reactionaries – often called ‘Ultras’ after the French far right - who favoured all repressive measures to conserve the pyramid of power at whose apex they sat, and pragmatists who favoured some reform to avoid a social revolution. The latter had briefly enjoyed power after Lord Liverpool’s death in 1827, under George Canning, who also incorporated a number of Whigs into his administration. But Canning died after a few months in office, and he was succeeded by the old reactionary, the Duke of Wellington. The remaining Canningites were driven out of the Wellington administration in 1828, leaving a government of Ultras whose political base was narrow. As a consequence, the government suffered an series of embarrassing defeats on constitutional questions. The first was the repeal of the Test and Corporation Acts, which discriminated against Catholics. But worse for the Tories was the loss of a vital election in the County of Clare, Ireland, to a Catholic candidate. As Catholics were not permitted to vote, or take seats in parliament, this was a damaging blow to Protestant supremacy. Whigs, having long supported some form of Catholic Emancipation, took this opportunity to push for reform, and Wellington felt compelled to embrace it in order to save the union with Ireland and his own government. This infuriated the Ultras, and led to renewed splits and recriminations. The death of the virulently reactionary King George IV, and the accession of the more Whig-friendly William IV in 1830, coincided with a wave of working class rebellions, and a renewed extra-parliamentary movement for Reform. A prolonged Tory monopoly on office was ending, and Liberal candidates found that they could gain office by promising to support electoral reform. Wellington won the 1830 general election with a narrow nominal parliamentary majority, but it was evident that he did not command popular support. In office, he retreated from his previous support for reform, declaring that he would not pass a Reform Bill as the existing electoral system enjoyed the country’s confidence. In fact, his real fear was that the country was on the brink of a civil war on a scale with 1640. While it seems that Whig leaders shared this fear, their conclusion was that reform could stave off revolution, while Wellington concluded that any reform would only encourage the unrest. His intransigence was sufficient to turn the majority in the Commons against him, a Reform Bill was drafted, and Lord Grey was able to persuade the King to dissolve parliament and hold another election in 1831. A de facto referendum on reform, the election gave the Whigs an overwhelming majority, and allowed the Great Reform Act to become law. Prior to the 1832 reform, 400,000 English men had exercised a franchise of some sort, though access to it was based on a series of elaborate property restrictions. After the Reform Bill was passed, this had increased to 650,000, and a number of ‘rotten boroughs’ controlled by Tory landed interests lost their franchise. In addition, the small print in the Act that was finally passed contained provisions that allowed the landed interest to reassert itself, and gradually rebuild the Tory presence in parliament. Though its democratising effects were slight, the reform did have a profound effect on party politics. The modern system of whips emerged decisively from this change, with the whips acting both as election managers and as coordinating and disciplinary tools within parliament. The first three-line whips were employed after 1832. And while the parliamentary system had hitherto been characterised by fractious competing tendencies with a relatively easy turnover of personnel between each, the ensuing period saw the coagulation of formal party competition. The reform also confirmed a long-term realignment in the locus and political forms of capital accumulation, as well as in the rank of those who ruled. The campaign for electoral reform may not have succeeded had not some sections of the ruling class, as well as the propertied middle class, been prepared to back it. And between 1790 and 1832, the most distinct change in the composition of the British ruling class was the emergence of what Eric Hobsbawm referred to as “hardfaced crops of businessmen under the rainy clouds of the North”. These industrial capitalists were largely from humble origins, and considered themselves a middling rank ranged against the aristocratic society that the Tories were determined to protect. They were growing richer by the year. Throughout the 19th Century, they would gradually have more millionaires among them than the landed interest. In the period between 1809 and 1858, 75 landowners left estates worth £1m on their deaths, while 150 bequeathed estates worth half a million. The comparable figures for non-landed wealth holders were 9 and 47, respectively. By the period 1880-99, 32 landowners bequeathed estates worth a million, and none worth half a million, while the equivalent figures for non-landed wealth holders were 59 and 158, respectively. In addition to being richer, the industrial bourgeoisie were instilled with a self-righteous fervour produced by a mixture of dissident Protestantism and Smilesian homilies, and ever more confident of their right to rule. If they initially sought a pact with the urban proletariat, it was not a pact of equals - their seniority in the workplace translated into moral guardianship in the wider society, and tutelage in political struggle. And if they were liberal, theirs was a ruthless, egoistic doctrine that would become known as ‘Manchester Liberalism’ – the laissez-faire ideology later to enjoy rebirths in Thatcherite and ‘Orange Book’ variants. Their bid for hegemony within the ruling class potentially spelled doom for the Tories unless they could adapt. The Tories had, since Lord Liverpool’s death in 1827, been reduced to a fractious and weakened rump. Throughout the nine years following the Reform Act, the Whigs enjoyed a continuous period in office. The Tories were thus ripe for re-organisation. Sir Robert Peel, long one of the pragmatists in the Tory hierarchy, took the leadership in 1834 and embarked on a painful adaptation to the new order. Peel, himself from a family of successful entrepreneurs that had profited from the ‘spinning Jenny’, perceived that the Tories’ future lay in the reconcilement of rural and industrial capitalism, and in securing the support of the middle classes. 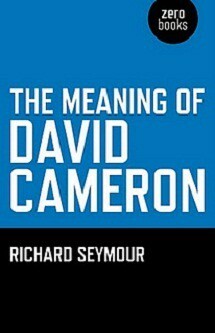 His ‘Tamworth Manifesto’, in which he outlined his support for the Reform Act, was intended to do just that. In moderately tempered terms, this remarkably dull document asserted that the reforms would pose no threat to “the respect for ancient rights, and the deference to prescriptive authority” for which England stood, and promised “a final and irrevocable settlement of a great constitutional question”. The reputation Peel subsequently secured for moderate progressivism, for empiricism and disinterested government, hinges considerably on his flexibility on constitutional questions. But if he was farther-sighted than the Ultras, he was not less committed to the old order. He had opposed the Catholic Emancipation Act out of fear “of injuring the Protestant Constitution of the country”. Similarly, he had at first opposed the Great Reform Act in 1832, only accepting the reforms to foreclose more radical change. If he supported Whig measures which he believed to be in the national interest, he was partially doing so to strengthen his own position with regard to the Ultras, but also, in part, responding to the mood of rich. As his political colleague Henry Goulburn advised him, “the property of the Country desires a conservative & not an ultra Tory government”. Thus, his pragmatic backing for the government on such subjects as the reorganisation of local government and poor law reform proved that he could be trusted to promoted gradual reform where it was beneficial to property. Importantly for Peel’s purposes, with the assistance of a growing apparatus of party discipline, he was often able to carry Tory MPs with him, despite constant friction with the Ultras. Arguably the most significant aid to the recovery of Tory fortunes, however, was the attitude of the Whigs, who allied with Pitt to undermine the Radicals. Peel had the option of manoeuvring with Radical MPs to bring down the Whig government, which many in his backbench wanted him to do. But he did not favour this, as it would potentially leave any ensuing government weak and at the mercy of its erstwhile Radical allies. As a result, he was far more often in tacit alliance with the Whig administrations of Lord Grey and Lord Melbourne than in opposition, using all his authority to prevent a defeat of the government by a combination of parties. Gradually, this enabled Peel to begin the transition from Toryism, understood as a reactionary opposition to any infringement of aristocratic, monarchical and clerical power, to Conservatism, understood as the defence of all propertied interests and support for prudent reform in those interests. The consequent revival of Conservative electoral support saw Peel form an administration in 1841 with 50.9% of the vote. Though the 1841 election had been won by shoring up votes in traditional Tory constituencies – shires and small market towns, principally - and pandering to protectionism, Peel’s administration continued in a moderately reformist vein. These reforms consisted chiefly of fiscal and economic reforms, consistent with Peel’s view that economic growth would provide a basis for solving outstanding problems such as public order and the Irish question. These reforms reflected Peel’s economic liberalism. He was a convert to Adam Smith’s political economy, an opponent of most trade barriers, preferred free market measures over intervention, and embraced the Whig strategy of making poor relief as demeaning as possible so that recipients would be motivated to seek work. Most significantly, in 1846, against howls of anguish from Tories, he moved to repeal the Corn Laws. This was a more decisive moment in the transformation of the Conservative Party than the ‘Tamworth Manifesto’. Landed power was still dominant in the Conservative Party, and in parliament as a whole. In 1847, some 81% of MPs still came from landed families, but the repeal had already signalled that landed power was on the wane. The Corn Laws were laws passed in 1815 by Lord Liverpool’s Tory administration to protect British agriculture from cheaper foreign imports of cereal crops, and to counteract falling prices as the Napoleonic wars came to an end. But they were unpopular with urban capitalists because they drove up the operating costs of manufacturers. Sustained pressure from a ‘Free Trade’ faction both inside and outside the Tories meant that the laws had been abridged and modified in subsequent acts of parliament since. Peel had long maintained that these could be moderated or repealed if they were found to be contributing to any financial difficulties, and a crisis was brewing. Industrialisation had produced a surging population which, as food shortages grew in the mid-1840s could potentially be destroyed by famine. Since the political justification for the laws had vanished – there was no glut of grains in Europe waiting to flood the British markets – it was in the interests of political stability and further capital accumulation to bring forward their repeal. Yet he was also cautious about Corn Law reform, only voting for their repeal for the first time in 1846. The push for reform came above all from the class conscious political activism of industrial capitalists, in alliance with the professional middle class. In 1838, the Anti-Corn Law League was formed by the Radical politician Richard Cobden and the Liberal John Bright. In theory, this League should have been attractive to the working class as well as middle class liberals and businessmen. Protectionism drove up the costs of bread and related goods, and reduced working class purchasing power. The Right had long feared that the issue of the Corn Laws would galvanise unrest in the same way that Chartism did. And it is true that among working class organisations and publications, including in the Charter itself, there was often bitter hostility to the laws. Petitions bearing the signatures of tens of thousands of workers were submitted to parliament in support of the campaign. But many local branches of the League were dominated by commercial and manufacturing interests, with little evidence of working class involvement. The opposing class interests of workers and capitalists undermined what might otherwise have been a broad coalition. Richard Cobden himself was subject to accusations that he mistreated employees, as were other League supporters such as cotton magnate Thomas Ashton. During the Chartist insurgency of 1839-40, leading League supporters would be involved directly in conflict with the working class as they had tried to put down the uprising. During a strike in Lancashire in 1842, many League supporters signed up as special constables to put down the insurgency. Many working class supporters of the League were anti-radical, pitting themselves against the Chartists who sometimes attacked and broke up League meetings. Notwithstanding its respectable pedigree, and its well-financed operations, Peel disdained the League as a sectional group that placed undue pressure on MPs. More importantly, he was wary of the way in which the issue, by arousing hostility to the landed gentry, could unleash submerged fury over the whole class system. The Tories, like the Whigs, had governed an increasingly restless and turbulent population, and an economic crisis in 1842 had brought on the first general strike in British history. Corn Law reform seemed to bring with it a constellation of other demands, such as those for universal suffrage and annual parliaments, or for repeal of the Act of Union, which issue was galvanising middle class Irish republicans and displacing Whig hegemony in Ireland. Peel thus wanted to manage the reform without it being seen as a capitulation to radicalism. He thus used the incidence of the Irish potato famine as a pretext for repeal, though its effect on the famine would be slight. This move had a devastating short-term effect on the Conservative Party and, for the first time, Disraeli emerged as a serious threat to Peel’s leadership. More Tories had voted against repeal (222) than had voted in favour (106), so the legislation had passed because of overwhelming Whig support. Disraeli accused Peel of apostasy but, while Peel knowingly defied the mainstream of Tory opinion, his decision has to be understood as a conscious attempt to realign conservatism. Faced with class rebellions and economic instability, it was his mission to unite all propertied class fractions in a single hegemonic bloc embracing economic liberalism, and to make the Conservative Party its active representative in parliament. By forcing the split when he did, he ensured that the Whigs had a near monopoly on government for the next thirty years. The landed interest, though, did not suffer as might be expected. Indeed, the bigger landowners still made up the larger share of Whig MPs, and their support was vital to pushing repeal through. Instead the larger agriculturalists with more resources and greater diversification squeezed out smaller farmers, improved their efficiency and continued to profit. They also benefited from measures in the Reform that were designed to compensate landowners for the loss of protection. Throughout the remainder of the 19th Century, the differences between urban and agrarian capital gradually closed, and later developments would give the Tories the opportunity to become Britain’s leading party of capitalism – as Peel had intended. The 1840s saw the rise of revolutionary movements all over Europe, which reached its crescendo in the astounding year of 1848. In Britain, the Chartists represented the most militant and internationalist section of the working class movement. They mobilised mass demonstrations in the capital, and produced a petition demanding parliamentary reform with six million signatures on it. For the rich, their demand for universal suffrage was just a stepping stone to expropriation. This was hysterical but not completely unrealistic. The aim of achieving the franchise for the working class was to obtain, through parliament, policies that would give the workers a larger stake in the wealth which their labour produced. As there was little prospect of conserving the old order entirely intact, the survival of the ruling class depended upon its ability to orchestrate reform and reorganise the capitalist state in such a way as to integrate the working class while containing its most radical ambitions. In the decades immediately following the 1848 revolt, the economy was stabilised. The Chartists had been crushed through relentless repression. They continued to exist as an institution, and a series of issues continued to mobilise the left and working class movements – notably, a strike in Preston in 1853 which generated class-wide solidarity, the Crimean war, the Sunday Trading riots in 1855, which Marx mistook for the beginning of a revolution, and the Indian Rebellion of 1857. But the decades following the defeat of Chartism were characterised more by working class self-education and mutual aid than by mass campaigning. By the 1860s, though, the question of parliamentary reform was once more on the agenda, and a Reform League seemed to united socialists with radical liberals to achieve the desired end. Once again, it would fall to the Tories to find a way of delivering reform in a way that conserved the pyramid of class rule. In the fifty years that followed the Second Reform Act, the first reform to enfranchise some, male, workers, the Tories became the dominant party of capitalism and cultivated a mass base among workers and the middle class. This section explores how the Conservatives responded to working class pressure, the expansion of the franchise, the split in the Liberal party over the question of Home rule, and the growth of the British empire. The Tory backbench had exacted revenge against Peel over a bill authorising the use of coercion in Ireland, voting with the Whigs to bring down his government in June 1846. Peel’s supporters ceased to work as Tories, instead acting as an informal parliamentary group and acting largely to keep the Whigs in office. The Tories lost 40 seats in the ensuing general election, and – though still strong in the Lords – was able to form only short-lived minority administrations under the Earl of Derby in the ensuing decades, in 1852, 1858 and 1866. In this period, Benjamin Disraeli, a talented orator and writer who had, before joining the protectionist wing of the Tories, spent some time as a radical. In 1852 and 1858, Disraeli served as Leader of the Commons and chancellor of the exchequer. While the Tories were formally committed to the restoration of protectionism, conditions of economic growth meant that they were unable to capitalise on such pressures. The Whig-Peelite consensus dominated parliament. Among the Whigs, the emerging power was William Ewart Gladstone, a former minister in Peel’s government, as President of the Board of Trade, then as Colonial Secretary. Gladstone was thus ideologically on the Peelite side of the consensus, and as chancellor under the Peelite Lord Aberdeen, then in the Whig-liberal governments of Lord Palmerston, he continued to pursue free trade policies. The Conservative Party remained a serious political force throughout this nadir in large part thanks to the enduring strength of their rural strongholds. The parliamentary party was weak, and the Tories were largely unwilling to destabilise a Palmerston government which, largely, they approved of. Palmerston was seen as an effective opponent of radicalism which, by the 1860s, was on the rise again. Thus, a de facto truce between the parties was practised until Palmerston’s death in 1865. Absent mass campaigning for an extension of the franchise, vote reform had become an issue mainly for parliament. The Whigs pushed for Reform Bills, but these tended to tinker with the existing system of representation rather than radically extending it. International events had contributed to the re-emergence of vote reform as an issue galvanising the masses. The US civil war beginning in 1861 aroused considerable sympathy for the North among British workers, though initially working class publications expressed some support for the South. The British ruling and middle classes, on the other hand, tended to favour the South, as did the majority of MPs. The attitudes of the Right were shaped by racism, but not only by racism. Feudal romantics such as Thomas Carlyle and John Ruskin believed that majority of humanity was incapable of self-government, but had a spiritual duty to work - for them to be coerced into working was no injustice. For those on the Tory Right who did not approve of slavery, the civil war was proof that democracy was unviable and deserved to be defeated. All sectors of British society tended to read the war primarily through the prism of democracy, and their attitudes to domestic reform. An internationalist campaign was launched to support the North, and to prevent the British government from intervening on the South’s behalf. This was at the time a serious threat, as Palmerston had considered recognition of the seceding South and was even at one prepared for outright war against the North. The victory of the North both vindicated democracy, and coincided with a rise in class struggle in the United Kingdom, nationalism in Ireland, and the founding of the first International Working Men’s Association, comprising Owenites, Chartists, anarchists and the infamous Karl Marx. The International then shortly embarked on an initiative intended to win universal suffrage, known as the Reform League. The League launched a series of mass meetings and demonstrations, culminating in riots in Hyde Park in July 1866. So when, following Palmerston’s death in 1865, the Tories and Whigs began to joust over the franchise, the issue was at the tip of a boiling tumult of acrimony and grievances. The processes leading to a Second Reform Bill had little to do with a desire for democracy. Few on either side of the House of Commons would have supported it if they had expected it to produce a representative democracy. Some Whigs, such as Gladstone, spoke the language of democracy. But when it fell to Gladstone at first to contrive a Bill, he sought mainly to incorporate that skilled, literate segment of the working class which he believed would support Whig-Liberal leadership of the existing political and economic structure of the United Kingdom. If anything, Gladstone was perturbed when Disraeli proposed a Bill that would enfranchise even more of the ‘residuum’ – that is, the lower classes – than the Liberals proposed. What motivated the moves for reform on both sides of the House of Commons was partially party-political competition. Gladstone wanted to create an electorate favourable to continued Whig hegemony pursuing free trade policies, while Disraeli wanted to enfranchise the more deferential workers in rural boroughs. Both intended their respective reforms as a bulwark against democracy, since those incorporated into the electoral system would be grateful for tutelage and hostile to further change. The Tories succeeded in taking ownership of reform by defeating Lord Russell’s Whig administration over its Reform Bill, then forming a ministry under Lord Derby. Disraeli contrived a Reform Bill of his own that would enfranchised four times as many workers as Russell and Gladstone had proposed, and the Act that was passed in 1867 doubled the number of adult males entitled to vote, and gave working class electors a 2-1 majority in the voting system. It also included a modest redistribution of seats intended to help the Conservative Party. Disraeli managed to convince parliamentary allies, terrified of the “disaster of democracy”, that this extension of the franchise would be the most effective impediment to democracy, and the greatest assurance of Conservative hegemony. In fact, the Tories did not immediately benefit. Disraeli became the Conservative leader in 1868, but he did not lead the country until 1874. Yet that was to mark the start of a long upward curve in Tory fortunes that peaked in the 1930s. He later claimed, in his Crystal Palace speech in 1882, that the Act had been undertaken in “confidence that the great body of the people of this country were ‘Conservative’ ... the people of England, and especially the working classes of England, are proud of belonging to a great country, and wish to maintain its greatness ... they are proud of belonging to an Imperial country, and are resolved to maintain, if they can, their empire”. In fact, long before the Second Reform Act, there had been a loose association of working class Tories committed to Protestant supremacy, protectionism and factory reform. But the development of Conservative Working Men’s Associations after 1867 was a qualitatively new development. These were created as part of an expanding party apparatus designed to capitalise on the new electoral situation. As such, they tended to suffer from the paternalistic and condescending attitude of Tory elites to the base. Still, they showed that working class conservatism was capable of being an organised force, and were put to work by the leader’s solicitors in the event of an election. Subsequent initiatives included the Primrose League, a genuinely popular mass organisation propagating Conservative ideology. Working class conservatives were disproportionately rural and small-town, from non-industrial areas, worked in smaller plants, were not trade unionists, and were born of middle class fathers. They also tended to believe that they themselves were middle class. To them, the paternalistic Toryism of Benjamin Disraeli was appealing. This paternalism took the shape of offering material benefits to working class electors, among them reforms on housing, sanitation and trade unions. The latter included legislation establishing the right to strike by excluding industrial action from conspiracy prosecutions. As the above quote from Disraeli indicates, however, the Tories also responsed to the challenge of mass democracy by becoming the party of ‘patriotism’, or national chauvinism. The imperialist elites that most profited from Empire investments, such as financiers, military leaders, landowners and agriculturalists were at this point increasingly gravitating toward the Conservative Party. These groups, in fact, tended to be more invested in the Empire than in domestic firms. But the main way in which the Tories differed from the Liberals in imperial matters was over Ireland. The loss of Liberal-Tory dominance in the Irish parliament after the Fenian Uprising in 1867 had hit the Liberals hardest, and while their remit was to regain lost support, the Tories had never enjoyed much support to begin with. The Tory party’s relationship to Ireland in the nineteenth century was profoundly shaped by the pre-eminence of landed capital in its ranks. Rent extraction from Ireland provided agrarian capital with a tremendous boost, providing funds for future accumulation in the British mainland. There was a particularly strong tie between the strongly Tory House of Lords and Ireland. In the era between Peel and Disraeli, the Lords’ ‘interest’ in Ireland was particularly strong. The proportion of Lords holding Irish interests rose from 13% in 1783 to roughly a quarter between 1833 and 1867. The Lords with an Irish ‘interest’ mainly derived their income exclusively from their Irish estates, and were very largely conservative. It was natural, therefore, that the Conservative Party should have been the party to play the ‘Orange card’, particularly whenever the question of ‘Home Rule’ was raised. It was also one issue on which the Tories could command the support of many workers, beyond their traditional base. ‘Home rule,’ the Tories argued, ‘means Rome rule’. By means of slogans like this, they tapped into the anti-Catholic and anti-Irish prejudices of many British electors. Such prejudice was of particular assistance to the Tories in working class heartlands of Lancashire. And it was over just the issue of ‘Home Rule’ that the Liberals were to split in 1886. The Tories had lost the election of 1880, wilting under the impact of Gladstone’s ‘Midlothian Campaign’, in which he used modern campaigning methods to denounce the Tories on a series of foreign policy issues. Disraeli’s subsequent death in 1881 made way for Lord Salisbury, a former Secretary of State for India who had resigned over the 1867 Reform Act, to take over the reins. Gladstone’s campaign denounced the Tories for their backing of the Ottomans in their war with Russia, and for the colonial wars in Afghanistan and southern Africa. In office, Gladstone did not deviate on iota from the wider colonial policy pursued by the Tories, sending British troops to protect imperial interests in Egypt when an uprising against the Khedive threatened them. British imperialism was as much a Liberal policy as a Tory one. Under pressure from trade unionists and radical liberals, however, he did introduce a new extension of the franchise. In framing the legislation he compromised with the Tories and the House of Lords, and though the subsequent Act (known as the Third Reform Act) added over a million male voters to the electorate, a series of exclusions and property-based qualifications remained in place. That the Act applied to Ireland was one of its features that had aroused Tory suspicion, and indeed it did promise to strengthen further the political position of Irish nationalists. But the defining act of Gladstone’s administration in this regard was the ‘Home Rule’ bill introduced to parliament in 1886. In the years leading up to ‘Home Rule’, political pressure in Ireland had been mounting. Fenian revolutionary struggle, arising from the Young Ireland movement of the 1850s, pushed for an Irish republic. These nationalists drew inspiration from Mazzini and the unification of Italy. More constitutionally-minded nationalists such as Parnell pressed for ‘Home Rule’ through the Westminster parliament, through the Irish National League. The National League, founded in 1882, had seen a dramatic expansion in branches and members between 1884 and 1885, with an estimated 1,261 branches by the end of 1885. The national question had a clear class dimension, and could not be won without tackling it. This was what the Land League, formed in 1879 with Parnell as its president, was intended to address. Since the majority of employees in Ireland (as in the mainland) were agricultural, the class issue concerned rent and ownership of land, and the exploitation of agricultural labourers. The settlement of this question as far as the British ruling class was concerned was possible either by repression or by a constitutional compromise. For Gladstone, compromise won. Ireland was in his view a domestic issue requiring an institutional solution. It would be resolved by meeting Irish aspirations while assuring “the supremacy of Crown, the unity of empire, and all the authority of parliament”. For the Tories, as well as for Liberal imperialists like Joseph Chamberlain, Home Rule threatened “the integrity of Empire”. Imperialism and Unionism were indissolubly linked in the Conservative outlook, and the Tories looked to Protestants in the north of Ireland to conserve British rule. When the preparations for the ‘Home Rule’ bill were being made by Gladstone, the Tory Lord Randolph Churchill addressed 10,000 Unionists in Belfast with the cry: “Ulster will fight; Ulster will be right.” Alongside the Tories, Chamberlain was instrumental in killing the bill, and thereafter resigned from the Liberal Party, defecting to the Conservatives along with one third of the government’s MPs. The Liberal Unionist split seems to have made only a small short-term dent on Liberal support. In the 1886 general election that followed from the collapse of the government, the Liberal vote was down only 3.7%. But with the loss of Chamberlain and his allies, the Liberals lost much of its Radical wing, those whose economic interventionism appealed to working class voters. Together with the long-term crisis of Liberal dominance in Ireland, and the erosion of Liberal support in Scotland, Wales and Cornwall, the split assured the Conservatives a long run of dominance. The Tories continued to position themselves as a belligerently nationalist, imperialist party. In the 1900 election, fought after the conclusion of the Boer War in which the British took effective control of the mineral-rich south of Africa, the Conservative government became the first since 1865 to win a second full term in office. Again, the tone was resolutely chauvinist. Citing Joseph Chamberlain, the 1900 Tory manifesto asserted that Britain had a “special duty” toward its colonial territories, which were “the undeveloped estates of the British Empire to be developed by British capital and British enterprise”. The government fought a khaki election, with Joseph Chamberlain asserting that the issue of war and its legitimacy was the main issue. Election posters depicted anti-war Radicals as unpatriotic assistants to “the enemies of England”. 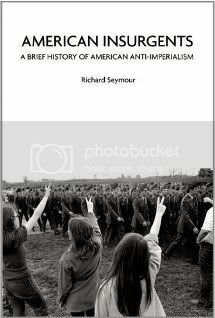 But along with the rise of popular conservatism was emerging another, parallel development, which meant that pro-imperialist and nationalist ideology was not always decisive. The 1880s had seen the rise of a ‘new unionism’ representing the most militant wing of the organised labour movement. Alongside it had been the growth of socialism in the working class. The alliance between trade union leaders and the Liberal party was weakened, but not entirely broken, by the formation of the Labour Representation Committee in 1900. However, the Liberals recognised that without offering the working class beneficial reforms, they could be finished as a serious electoral contender. They stood in the 1906 election on an agenda of progressive reform and won by a landslide. The legislative record of that government included the first rudiments of the modern welfare state. The Labour Representation Committee, having achieved 4.5% of the vote, became the Labour Party, and began its slow electoral ascent. Gradually, it would begin to displace both Liberals and Conservatives for political support among the skilled working class. With the Liberals breaking from the classical liberalism of Grey and Gladstone, and Labour on the march, the Tories were left as the major party supporting laissez-faire economic policies. But it was the First World War and its shattering impact that finished off the Liberals as a party of government. Under the leadership of first Herbert Asquith then David Lloyd George, and including such luminaries as the future Tory leader Winston Churchill, the Liberals led Britain into war with Germany on the pretext of defending ‘gallant little Belgium’ from the ‘wicked Hun’. 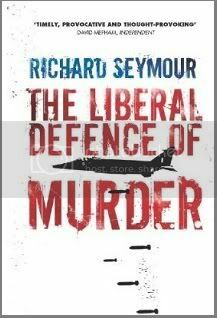 The war, among its many other effects, destroyed the framework for Liberalism as it had been known. Jingoism, social authoritarianism, and uncontrollable war expenditures were constant features of a war that left 20 million dead. The ousting of Asquith as Prime Minister during the war also resulted in a split between the supporters of David Lloyd George, who favoured the ‘new’ liberalism of 1906, and the supporters of Herbert Asquith, professionals and financial services employees who still supported classical liberalism. The damage to Liberalism, and the split from 1916 onward, left Labour as the second largest party in parliament with a serious prospect of hegemonising the working class vote, and the Conservatives as Britain’s major party of capitalism. Lloyd George’s split in the Liberal Party was not merely of accidental benefit to the Conservatives. In a 1920 speech, he explained that it had been necessary to realign Britain’s political forces and join with the Tories, because of the threat posed by Labour. Liberalism, he said, was committed above all to private property, and as such socialism was a far more dangerous opponent than Conservatism. The Conservatives thus stood valiantly for the defence of private property against socialism, and continued to do so after the coalition collapsed in 1922. Though Lloyd George was a little melodramatic on the prospect of Labour expropriating the rich, the Bolshevik revolution and its would-be imitators across the continent undoubtedly loomed large in his mind, as did the wave after wave of industrial unrest that had engulfed Britain since 1911. The first minority Labour government followed by the general strike of 1926 seemingly confirmed the validity of Lloyd George’s warning. In this section, I discuss how the challenges of socialism, trade union militancy, Depression, and the post-war arrival of Labourism, galvanised the Tories and forced them to perform another series of elaborate zig-zags. Under the leadership of Stanley Baldwin, the Tories had to coordinate a policy mix that could both unite capital against the working class and placate the working class. 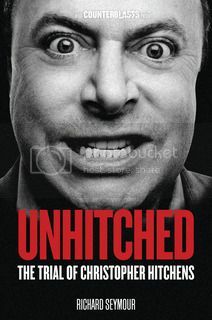 This mix, Baldwin called the ‘new Conservatism’. Integrating a blend of reformism and reaction, it included: the enhancement of welfare (the Widows, Orphans and Old Age Pensions Act of 1925); the suppression of industrial militancy in the general strike of 1926; and the outlawing of sympathy strikes in the Trades Disputes Act of 1927. Importantly, while the ameliorative welfare reforms were undertaken largely within a framework of non-intervention in the economy, the government had little compunction about intervening to break industrial militancy, continuing a pattern of state-organised strike-breaking established by the wartime coalition government. The government also considered a bill to outlaw the ‘political levy’, which was seen as being opposed to the individual liberty of trade union members. This was clearly a move against the Labour Party, which was funded almost entirely by the political levy. Yet this was during a spell of relative peace in industry, and it was decided that it would be inexpedient to introduce a law that the average punter may perceive as “not cricket”. His administration also sought to put an end to suffragist radicalism with the Equal Franchise Act 1928, which extended the franchise to women for the first time. Part of the rationale for this reform was also that the Conservatives expected to benefit from the votes of women, who did indeed vote Tory more often than men, at least until the Major era. But that alone would not have been sufficient, as whatever faint nods leading Tories had made to the cause of womens’ suffrage in the past – and they were not more patriarchal than many Liberal and Labour opponents on this question – they had declined to act on it in office. Baldwin actually implemented the law with the firm belief that it would put an end to feminism. “The grounds for the old agitation is gone, and gone forever”, he insisted. It was also in the Baldwin era that Tory finances were reformed, indicating a changing relationship between the party and the capitalist class. As the party adapted to the challenges of mass democracy, it required more funds. From the late 19th to the early 20th centuries, the Conservative Party built up funds primarily through patronage and corruption. The buying and selling of titles was a significant component of this racket. However, as capital became larger and more concentrated, individual patronage was of less use. The concentration of capital in the British economy had occurred more rapidly, and in more sectors of the economy, than anywhere else. During the period of the Liberal-Tory coalition from 1916-22, the government enjoyed a close relationship to the City. But the collapse of the Coalition left the Tory funding system in disarray. As a consequence, Tory chairman John Davidson MP (later Viscount) was entrusted with rationalising the system. Instead of patronage, a system of corporate contributions was developed. This enabled the Tories to fight the 1935 general election by spending record sums of money on publicity. Aside from supplying most of the funds, large businesses also supplied a phalanx of personnel for the Tory cabinets of the Twenties and Thirties, just as landowners and aristocrats had once dominated the Commons front benches. Stanley Baldwin’s term of endearment for such people was that they were “associated chambers of commerce”. The Tories were fortunate that Labour was in office when the first tremors of the Great Depression hit the British economy. The result of Labour having come to power, albeit without an overall majority, at just the point when capitalism was collapsing, might have been expected to be a turn toward economic management of the sort that Keynes was increasingly advocating. 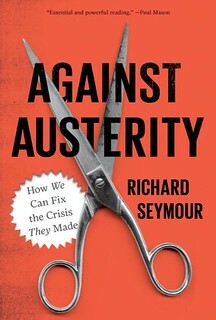 In fact, disappointing many supporters, the economically orthodox chancellor Phillip Snowden pursued an austerity agenda, partially advised by a committee of financiers and speculators under Sir George May, who urged that the government cut unemployment insurance as the surest way to increase the confidence of overseas investors in the government’s management of the economy. Since Snowden, and Labour leader Ramsay MacDonald, were unable to persuade the trade union leadership to acquiesce in such a policy, they went to the King on 31 August 1931 and at his instruction formed a ‘National’ government with the Conservatives and Liberals. The ensuing general election resulted in a landslide for the Conservatives, who gained 55% of the vote. Labour, though it still received 6.3 million votes, approximately 30.8%, lost 228 seats and kept a pitiful 52. The ensuing general election in 1935 was not much different, as the Tories still gained 53% of the vote. The Thirties represented the zenith of Conservative support, never since replicated. Perhaps one reason for this, apart from the damage done to Labour by Macdonald’s apostasy, was because - despite Depression, mass unemployment, and poverty - some layers of the population experienced rising living standards, while falling prices left the middle class and a sector of employed workers with more disposable income. The benefits of this were concentrated in the Tory heartlands of south-east England, while northern England, Scotland and Wales suffered. The Tories also were not quite as dogmatically non-interventionist as might be assumed. Tariffs and subsidies were introduced to boost agriculture and industry, and the government pursued extensive modernization of industry. Though the reforms of the Baldwin administrations were overall quite modest, they partially reflected the Tories’ need to offer an alternative to Labourism, and adapt to the leftward shift of the electorate without themselves being radical. Throughout the 1930s, the Tories’ anti-socialism also manifested itself in the attitude the government took to fascist dictators on the continent. This has been described by the euphemistic term ‘appeasement’, but that obscures the extent to which the Conservatives actively supported fascism. An example is the attitude of Baldwin’s government to the Spanish Civil War. The Republic, the legitimate government of Spain, was assailed by a fascist uprising under the command of General Franco on 17th-18th July 1936. Baldwin’s sole known order to his foreign secretary Neville Chamberlain was that Britain must not end up on the same side as ‘the Russians’. Britain thus declined to support the legitimate government, acted to prevent an alliance between France’s Popular Front government and the Republic, and sought a non-intervention agreement that only effectively inhibited democratic support for the Republic, while the fascist signatories cheerfully ignored its strictures. In August 1937, the government gave informal recognition to Franco’s Nationalists as the de facto government of Spain, trading diplomats with them. On 27 February 1939, the government officially and unconditionally recognised the Franco government. ‘Appeasement’ is thus a code for emotional, ideological and in some respects material support. The unwillingness of Britain’s ruling class and the Tory government to confront Nazi expansionism was due to their belief that the Nazi government was no particular threat to them, but was an invaluable ally against Bolshevism. It also owed something to British-German trade, and the precarious situation of British bondholders if Germany defaulted on its debts. The pro-German governor of the Bank of England, Montagu Norman, intervened to protect the bondholders. The Bank, and the City, proffered several loans to German industry and encouraged a policy of keeping Hitler’s regime in rude health to avoid a default. It was also in part due to the awareness among Tory planners that the US was waiting in the wings to assume global leadership should Britain find itself unable to maintain its colonial properties after a war with Germany. Instead, at the Munich talks, then Prime Minister Neville Chamberlain sought to redirect Nazi Germany’s aggression toward the hated USSR. But this only delayed the inevitable as the more far-sighted imperialist Winston Churchill could see. Just as the Italian Fascists were stepping on the toes of the French empire, so Germany would tread on Britain’s toes. The consequence of eventually having to finally fight Nazi Germany was that the National Government had no credibility to wage the war. Following a military defeat in Norway, Chamberlain’s government was humiliated by a sizeable wartime rebellion from the Tory ranks in the House of Commons. Many Tories believed that Labour had to be drafted into a wartime coalition, if only to incorporate the trade unions into the war effort, but Labour would not serve under Chamberlain. Thus, the government fell, and a more authentic coalition government was constructed under Churchill’s leadership. A profound consequence of this was that Labour acquired a spell in government, learning how to use the instruments of planning and industry controls that the wartime coalition created. It gave them considerable self-confidence when they finally won their first outright majority in 1945, itself the fruit of popular radicalisation arising during the ‘war for democracy’. 1945 marked the first in a series of shattering crises for the Conservative Party, opening a new phase in its evolution puncuated by its adaptation to social democracy, a period of stabilisation, and then further crises. It signalled the end of the Tories' gradual ascent. Their transformation to a modern bourgeois party was complete; their role as the dominant bourgeois party hardly threatened; and their position at the apex of an anti-socialist bloc not challenged; but their ability to be electorally viable and thus to make their strategy for capitalism effective was threatened in a serious way. Not for the last time.